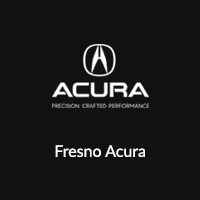 If you’re looking for Acura financial services near Madero, the finance team at Fresno Acura is here to help. Acura financial services provide a variety of different financing and leasing options that are flexible and adaptable to your monthly budget. Find out more about Acura financial services below, and then drive home to Hanford with a new Acura MDX or RDX today! A DBA of American Honda Finance Corporation (AHFC), Acura Financial Services offers financing through retail installment contracts and leases that are adaptable to your specific financial and automotive needs and desires. Should I lease a car if I drive a lot? At Acura Financial Services, we’re happy to offer our clients the opportunity to purchase “up-front” mileage at the beginning of their lease period to extend beyond the conventional 15,000 mile limit. What are my lease insurance requirements? During your lease period, you are required to purchase and maintain physical damage, comprehensive, and collision insurance for the length of the contract. You can easily find your APR rate located on the first page of your Acura Financial Services financing contract. What can an Acura Financial Services Professional do to find me the best Interest Rate? At Fresno Acura, our financial experts will shop around with dozens of lenders to find the best interest rate to suit your needs and requirements. Are Acura Certified Pre-Owned Vehicles eligible for Acura Financial Services? Yes, Acura CPO models have undergone a 182-point inspection by Acura technicians and are eligible for special financing rates via Acura Financial Services. How do I make a principal payment? At any time, clients have the option of logging into their Acura Financial Services account, selecting “Make a Payment” and choosing the “pay down principal” option. There are even more reasons for shoppers in Visalia to consider buying or lease an Acura from Fresno Acura, including our current offers and incentives or reach out with questions about how to improve your credit. You might also want to look into insurance options like gap insurance. 0 comment(s) so far on Why Choose Acura Financial Services?